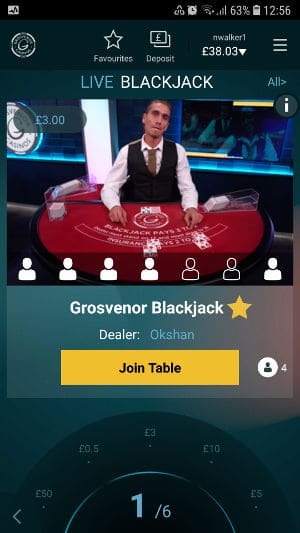 When I heard that the Grosvenor Live Casino App had been updated with some cool new features I thought I’d take a look to see what all the fuss is about. It takes a lot to impress me these days, so my expectations are always high when I’m looking at something new or improved. 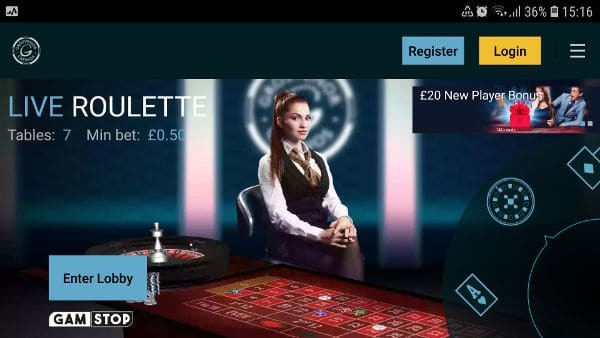 The Grosvenor Live Casino App has a few areas that could be improved, but it’s very usable and has a few new features we’ve not seen before, which makes it something worth applauding. Firstly, wow, what a refreshing looking app. Totally focused on the Live Casino. What’s immediately obvious is you’re not being coerced into registering. You can move around the app and explore all the options freely. Only when you want to load a table are you asked to login or register. 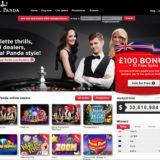 A selection wheel in the middle of the screen allows you to select tables for Poker, Blackjack Roulette and Baccarat. From there you’re presented with a small selection of tables. These can be navigated through using the wheel or by swiping the screen. The stakes of the tables are also displayed on the wheel. While I thought this was a good idea initially, I found that I didn’t look at them at all. I just used the wheel for navigating, choosing instead to look at the pictures in front of me for table information. Tagging tables as favourites is cool. But the best feature by far is the Dealer List with the ability to set a favourite dealer and be notified when they’re at the table. I love this. Everything looks good in both Portrait and Landscape. The majority of the time I use Portrait, so that is where I spent most of my time during the review. The switch between modes is seamless which is another plus point. When it comes to improvements there are a few that could be implemented to improve the player experience. At the moment only Evolution live games are integrated into the app. 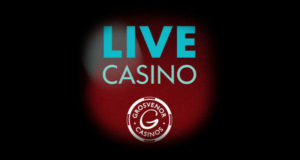 If you want to access the NetEnt live tables you have to exit the App and load the Grosvenor Casino Website. Navigation is confusing when exiting a game. Quite often I wanted to go back to the App, but was either taken straight into the Evolution Lobby or to the full Grosvenor Casino Website. The only option was to hit my back button and navigate back to the app that way. 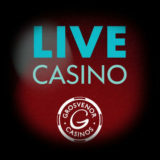 The selection wheel only shows 4 game types, when the Grosvenor live casino actually offers more. This could deter players from going further. The games are there but can only be seen by entering the Evolution Lobby. It’s great that Grosvenor has a dedicated app for their Live Casino. The fact they are innovating is great, hopefully it will make some of their peers look up and take note! 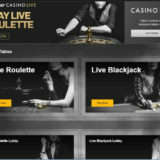 I thought the trend for apps would decline with most people accessing Live Casino on Mobile through an HTML5 website. Obviously I was wrong. 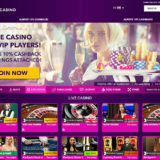 I’d like to think that over time they will add access to all their live casino suppliers this way. In the mean time there needs to be a link in the app to access the other supplier tables. I really don’t mind being put through to a supplier lobby, but I’d expect an easier journey back to the app home page when exiting the lobby. I also don’t expect to be asked to login again when presented with the Grosvenor Casino Website. The user journey and experience here is not great and could be improved. The Dealer notifications are an excellent idea. I’m sort of assuming that it’s for the dedicated Grosvenor dealers rather than all the Evolution dealers. Either way it’s cool facility I would use a lot. Well the people from Grosvenor have been in touch with me. They’ve fixed the errant link and now the Home Button takes you back to the App rather than the Grosvenor website.